2017 Colorado Guitar Show---Another Smash Hit! Another fantastic guitar show! Wow, where to start? So many cool things went on this year. Duane and Charlene Evarts did another fantastic job organizing the show. Lot's of folks attended this year and as always, the selection of instruments was amazing. If we didn't see you this year maybe we'll see you next year! Time flies when you are having fun. We are just about ready for the next Colorado guitar show. We will display some vintage pedals for you to try out as we take votes for our next set of kits. 2017 marks our 5th year at the show. This year is destined to be our best. We can't wait to see our old friends and some of the new faces. 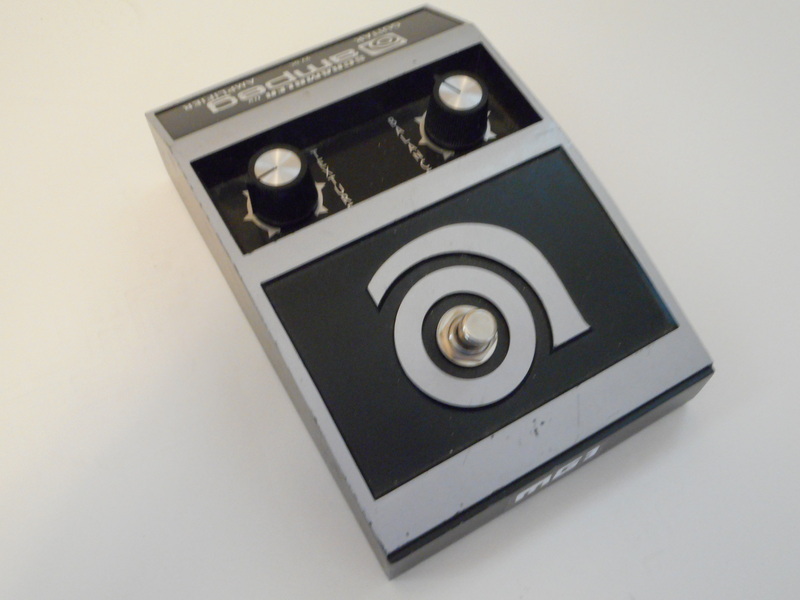 We have a new kit based on this Ampeg Scrambler. This 1960s reissue comes with all the noise and grind for guitar players as well as the bass players in the crowd. As always, there were absolutely gorgeous guitars from some private collectors and retail vendors. Overall attendance was up. All the vendor tables were sold out. We saw some familiar faces and some new faces. Duane and Charlene Evarts did another great job organizing the show. The RetroTone® demo pedal board attracted more than one friendly face. 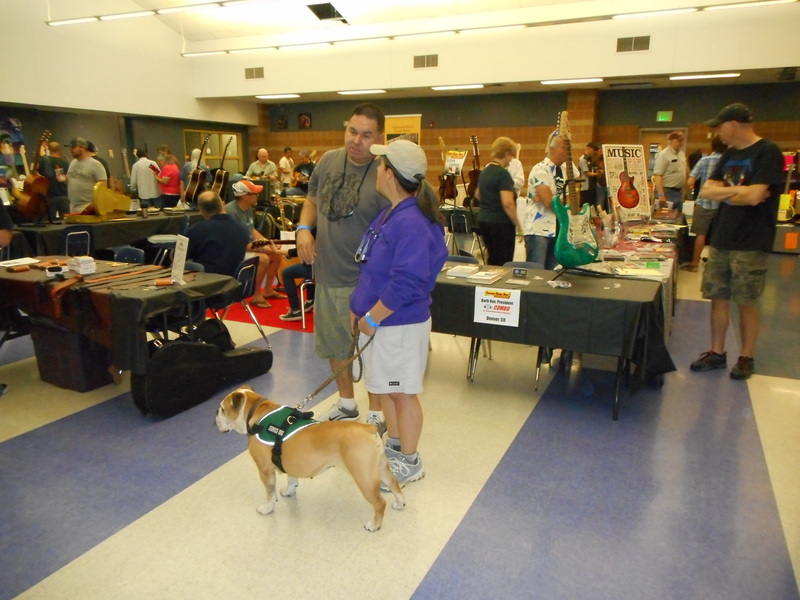 The 2016 Colorado Guitar Show and Custom Luthier Expo is right around the corner on Saturday, June 25th, 2016, from 10:00am to 4:00pm at Lutheran High School 11249 Newlin Gulch Blvd, Parker, CO. RetroTone will be in attendance again this year so stop by the booth and get your hands on our kits to try them out for yourself. What a long road it has been to get this restoration done. Lots of twists and turns. Some very unexpected challenges. Everything is wired up and everything is working. All is well that ends well. It is time to put this pedal through its paces and find out why certain folks prefer the Colorsound Wah over the Cry Baby. Then, I need to give it back to its owner, my buddy Greg. 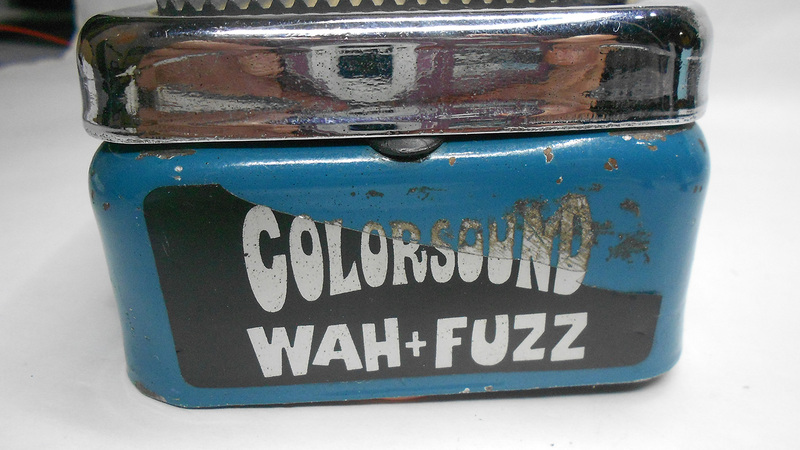 We are on the final lap of the Colorsound Wah+Fuzz. Greg's baby turned into a major restoration and rebuild. A fair bit of analysis of the wiring revealed where most of the anomalies come from. I'm going to make some guesses about what I observed when I cracked this baby open. If you remember, I told you the wiring didn't match any of the schematics I was finding. Turns out there is a good reason. When I took on this project, Greg and I talked about how he wanted the controls to work. Toe Switch---Engage Wah, Heal Switch---Engage Fuzz. We also thought that a adding swell (volume) feature would be cool. We never discussed if the wah is first in the chain or the fuzz is first in the chain. I never knew it, but, this who's first topic has fueled many a heated discussion. A recap of our progress so far is in order. We have traveled a lot of ground in the project and sometimes it is easy to loose track of the goal. A simple addition of an external 9VDC jack turned into a pot core inductor engineering and fabrication project. Not to mention, we still haven't addressed all the other wiring issues this pedal has. But, I digress. Check out this installment for the tools and methods used to fabricate the inductor we need to complete circuit repairs on Greg's Colorsound Fuzz+Wah. 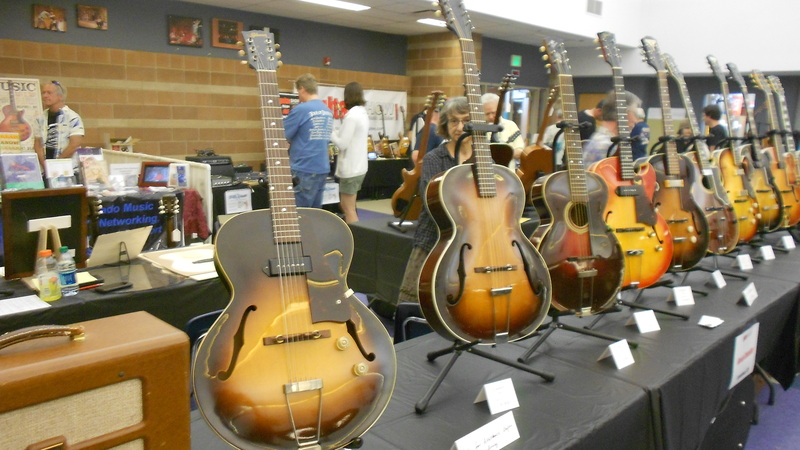 The 2016 Colorado Guitar Show and Custom Luthier Expo dates have just been announced. Duane Evarts is hosting the guitar show again on Saturday, June 25th, 2016. RetroTone will be in attendance again this year so stop by the booth and get your hands on our kits to try them out for yourself. Disappointment permeates all things Wah+Fuzz here at RetroTone®. Our repair job on the inductor did not work so we are forced to seek another solution. Good thing we checked out all the options for inductors in Wah-Wah pedals. This article reviews where we are in the repair/rebuild process, the schematic of the color sound Wah+Fuzz and what is the most appropriate solution to get Greg's Wah+Fuzz road worthy.